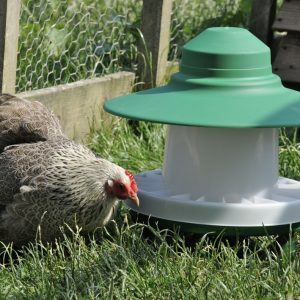 A substantial, easy to use push fit feeder, can be used with any type of feed, easy to clean, the cone top discourages perching and subsequent contamination of the feed tray. 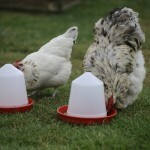 This feeder covers the basic needs for the poultry keeper. It has a red base with an easy to fit opaque push on top and is very easy to use and clean. 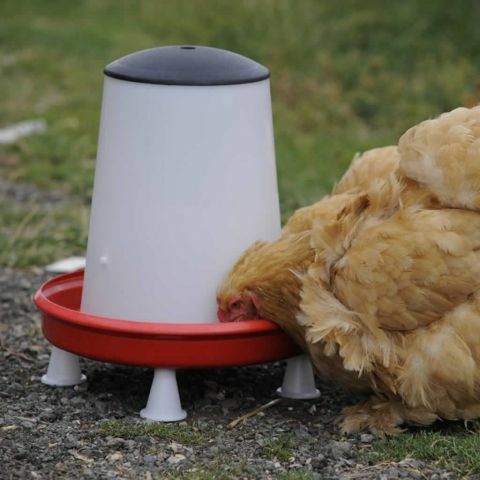 Combine this feeder with the drinker range to accommodate all chickens from day old chicks increasing the feeder size as they mature. The feeder has a pre set feed flow control therefore no adjustments are required. It is ideally suitable for all types of feed including growers and layers pellets, corn or mash. Be the first to review “3kg Feeder” Click here to cancel reply.